Note: If you’re reading this post via Email Subscription or via RSS and can’t see the video above, click here to watch it. 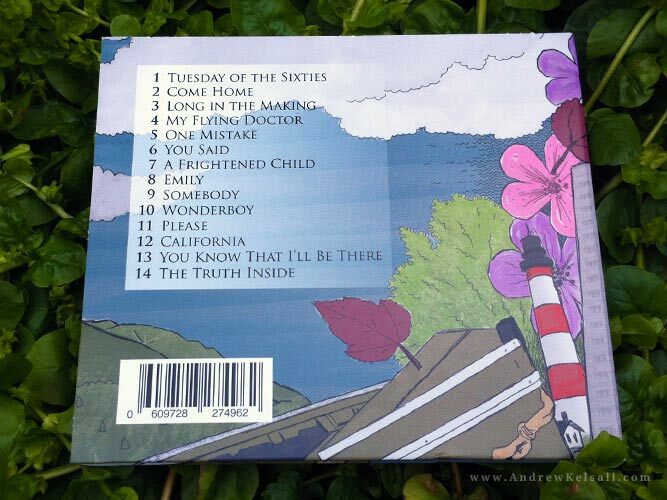 Above: This is the Digipak cardboard sleeve laid flat. You can see how the illustration I created covers the whole thing from back to front. For an explanation of the actual design, please see the video above. Above: Note the barcode on the digipak design. Unlike my previous CD Design for The Sunrise, I applied this on the actual file (rather than the printing company applying it after sending final files). 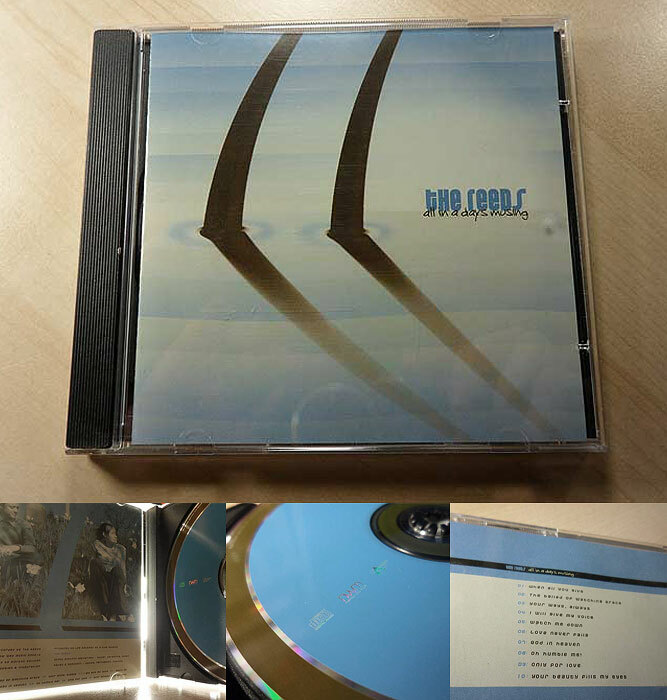 Above: Inside the cardboard CD case, an 8-page (or 8 panel) booklet was included. This slipped into a slot including on the underside of the front cover. Yes, it looks pretty cool if I do say so myself! Above: Here’s what the inside of the Digipak sleeve looks like when the 8-page booklet and Compact Disc are removed. As can be seen, the illustration continues behind the clear plastic CD tray. 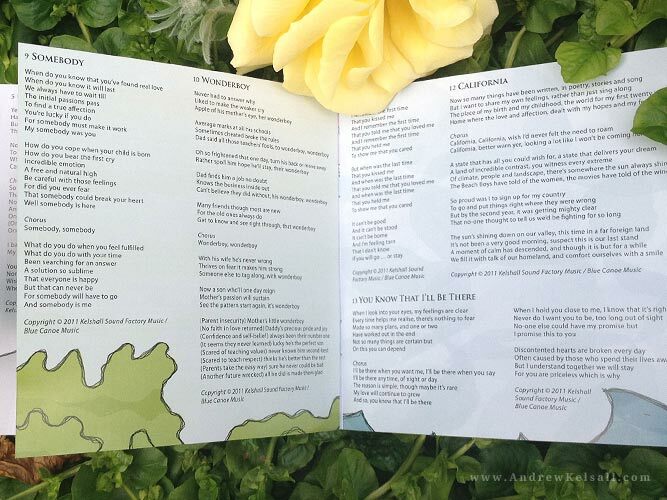 Above: This is the first page of the inner booklet. 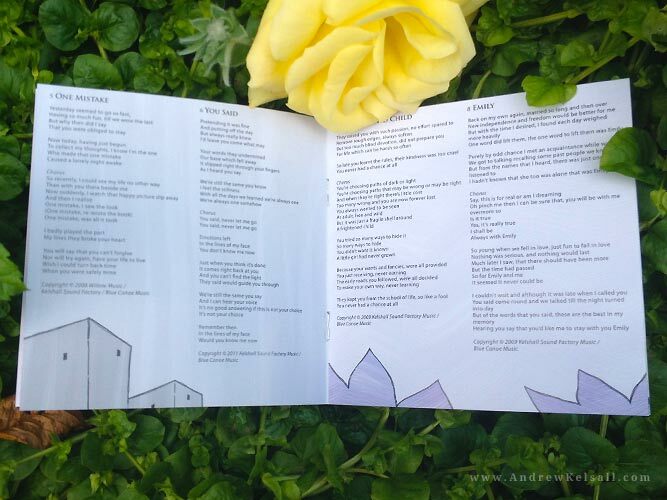 I’ve kept the illustrative work minimal so the small lyrics can be seen clearly. 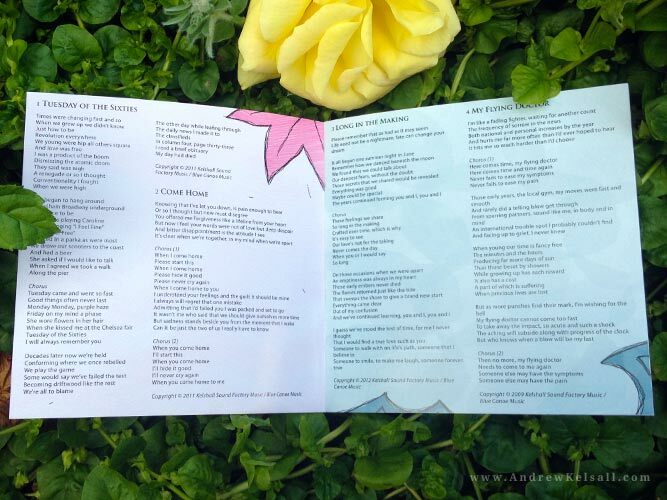 Above: The lyrics are coloured in black, and only use black ink on overprint so there are diamond sharp! For more on the use of black, read my article The Professional Designer’s Guide to using Black. Above: When I had some spare ‘space’ (when some song lyrics were shorter), I used more illustration to fill the gaps. On the left, I used some random bushes, and on the right, sea waves. 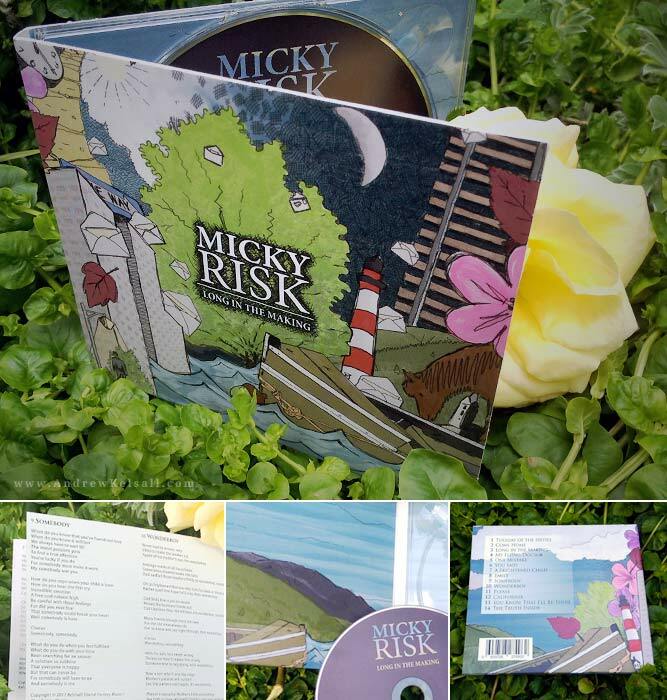 Above: It’s hard to see here, but this is the CD Digipak Design wrapped in plastic for distribution purposes. 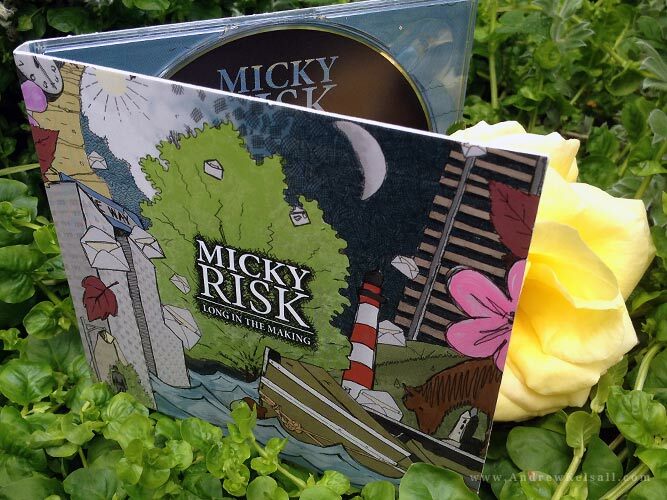 Above: Here’s my favourite photo of the CD Sleeve taken in my garden. 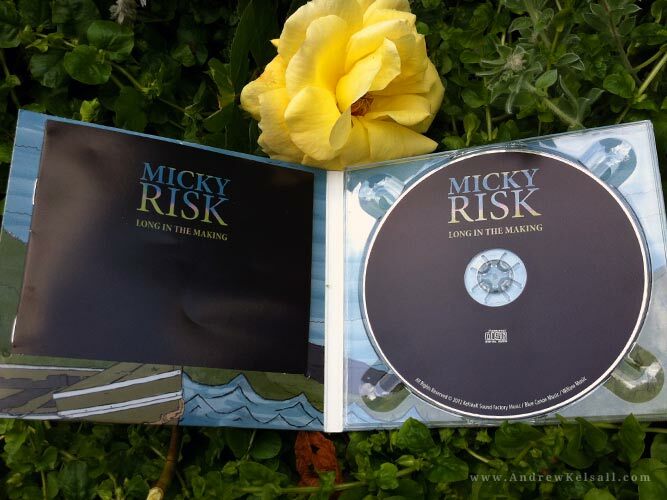 This was a really enjoyable project to work on, and after seeing the final CD Digipak Design that Micky kindly sent me, I was overjoyed at the final result. I love to designs CD’s, but as time ticks away, many people download music instead. At the moment, though, there is still a place for the humble “tangible” CD Sleeve. Until they disappear from the mainstream like cassettes, I will be happily-ready to design some more! 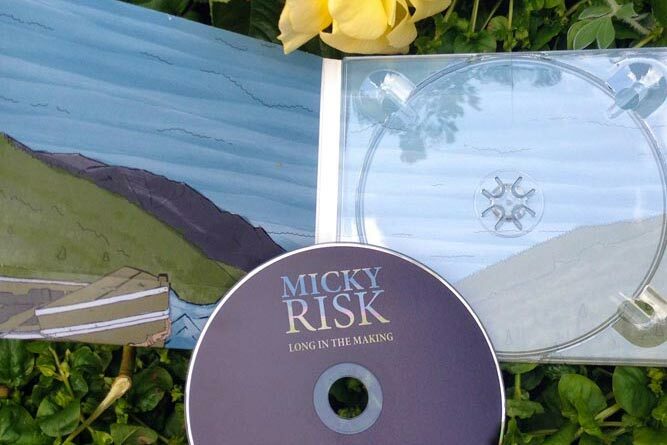 Oh, you can listen to some of Micky’s tracks here. Resource: Do You Need a Custom CD Design? 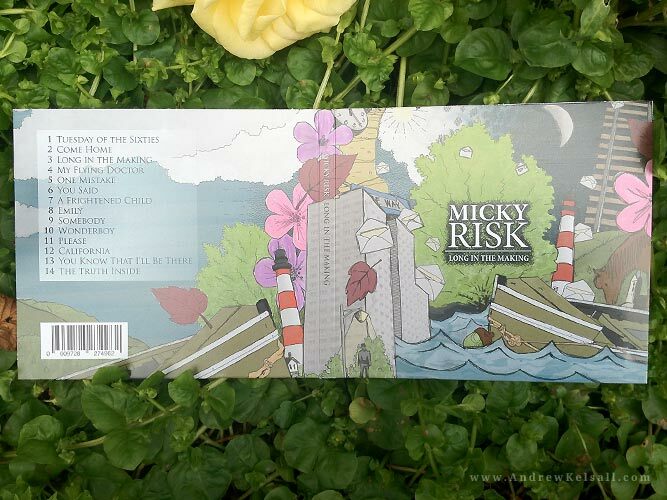 ♥ Read my article on this project: How to Design a CD Cover for a Local Band. ↑ CD Cover Design for singer/songwriter Dominic Finley. 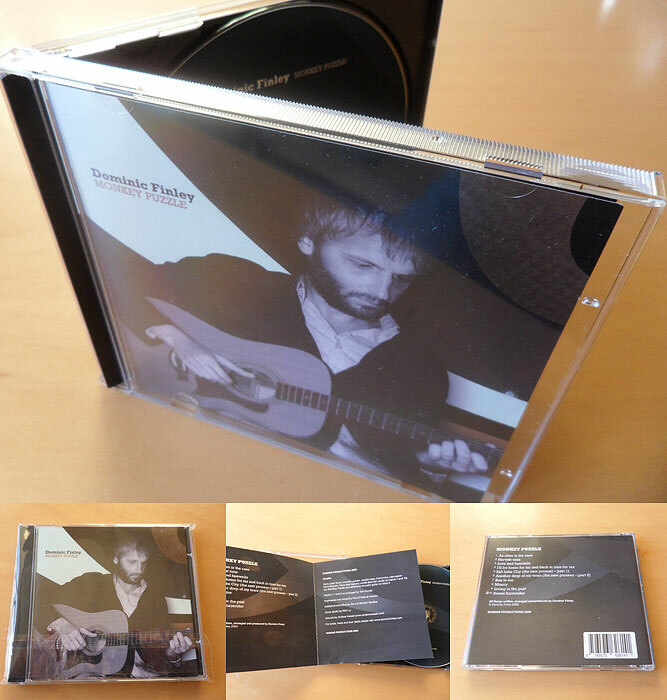 ♥ Read my article on this project: CD Sleeve Design Process for Dominic Finley. 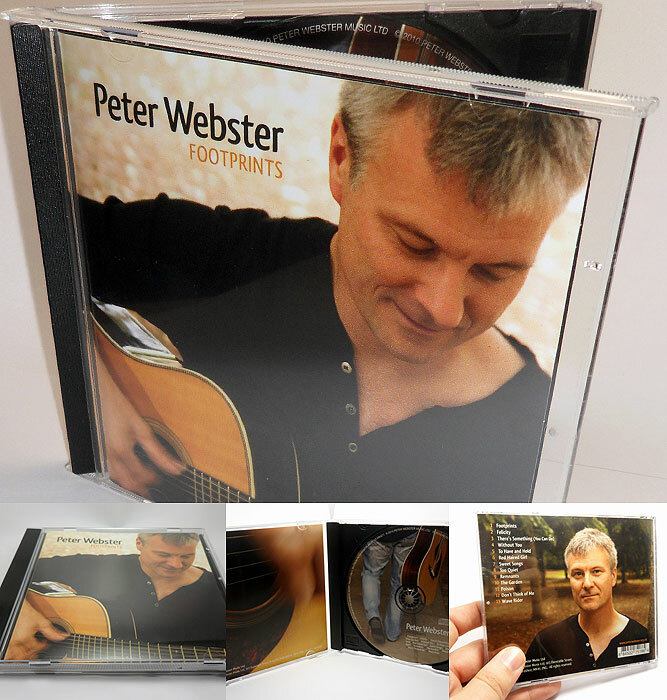 ↑ CD Cover for Singer/songwriter, Peter Webster. ♥ Read my article on this project: A CD Album in 77 Snaps. ↑ CD Cover for Singer/songwriter, Dominic Finley. 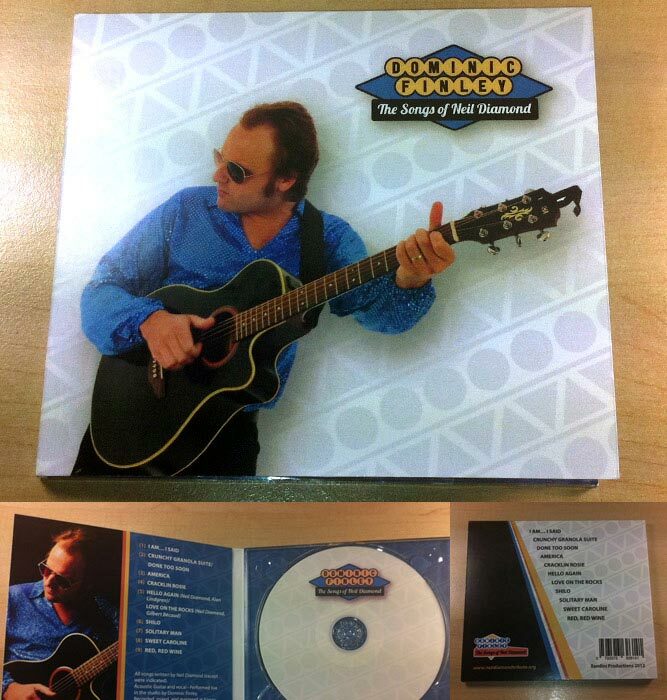 ♥ Read my article on this project: Digi Pack CD Design – Neil Diamond Songs. I love it!!! very creative and so much effort put in! long life printed CD covers! Nice work. 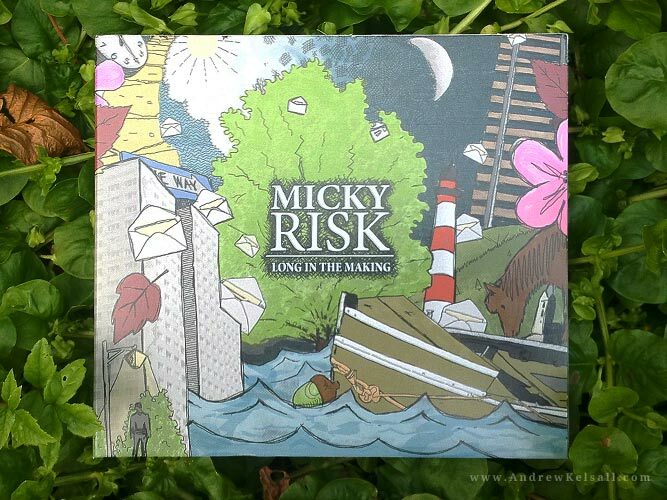 Really like Micky Risk work. Were you the illustrator? Harrowgate Hill work is really nice. Oh wow. I love your designs. What I love even more is the fact that you’re using the power of blogging and social media to tell the world about your work. This is the first professional designer’s blog that I’ve stumbled across. Great design mate, lovely illustrations.